Express your unique personality by featuring furniture in your apartment that’s more like a piece of art. 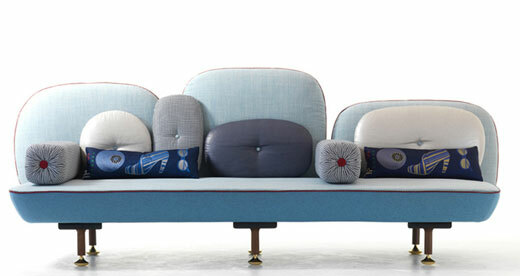 Today we’ll focus on some wondrous sofa finds, like this Beautiful Backside by designer Doshi Levien. This couch, in many other fashionable colors, is a combination of wool fabrics and felt. Gold and silver foiling on the pillows add an elegant touch. Feeling wild? 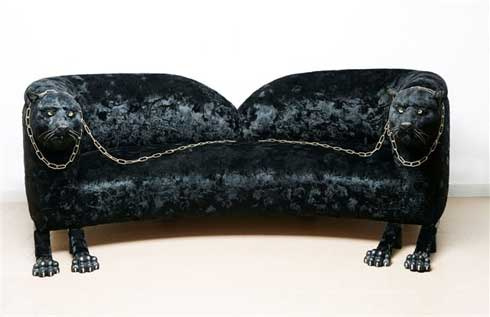 Try out this panther sofa to express this side of your…nature. This design is by master upholsterer, Rodolfo Raocchetti. 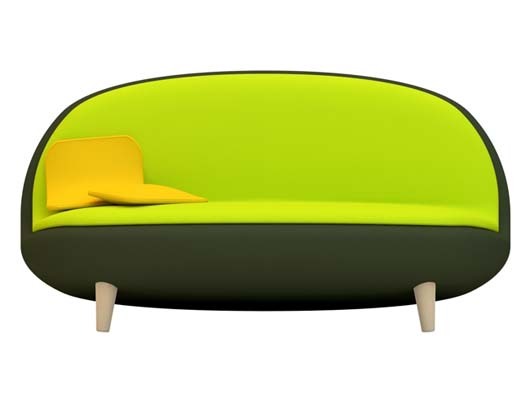 This vegetative sofa offers a unique expression in shades of green, for the chef in all of us. It’s soft and comfortable too, designed by Christian Vivanco. Want a bit of the outside on the inside? How about living in this piece of art. 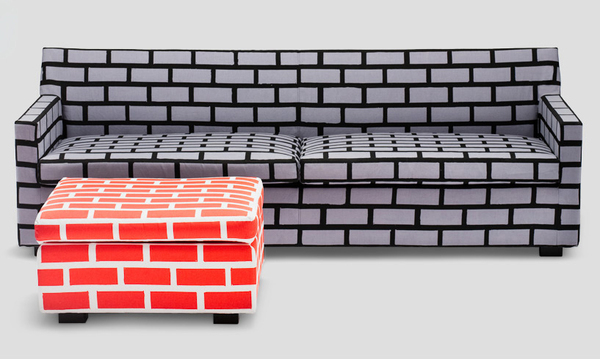 This brick-like sofa and ottoman would be quite the conversation piece. A sofa that speaks style…we are just not sure what kind. 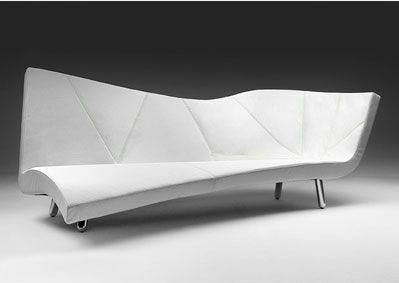 This Orikami Sofa is shape-less in design featured in white leather and chrome. Save up for this one: $8,160.00. This entry was posted in Furniture and Design and tagged apartments, art, decor, decorating, designers, furniture, interior design, interiors, living spaces, style. Bookmark the permalink.